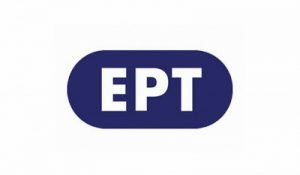 ERT SA It is the Public Broadcasting Corporation of Greece. The first radio broadcasts of Public Radio began in 1938. The first television broadcasts were made in 1966. It employs 2285 employees across Greece. It covers the entire Greek Territory and the Greek Diaspora, with over 17 million beneficiaries. ERT SA publicly owned and supervised by the State. ERT SA a single body, which includes nationwide and regional television (five channels: ERT1, ERT2, ERT3, ERTHD, ERTWorld) and radio stations (five main nationwide in Athens – “Proto Programma” with local and international news shows, “Deftero Programma” with traditional and contemporary Greek music, Kosmos93,6 with international music repertoire, “Trito Programma” with classical music, arts and culture radio shows, “Voice of Greece” the international radio program for the Greeks of Diaspora – 2 in Thessaloniki – 102fm and 95,8fm – and 19 regional), Music Ensembles, Archive Museum, web sites and online magazine edition.